Thank you to Disney for this amazing vacation and opportunity for our family. All thoughts and opinions are my own. 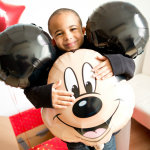 Planning a Disney Vacation with Preschoolers? Discover our thoughts on the best Family Friendly Rides at Walt Disney World® Resort! Hi friends! By now you may know that this year my family and I had the awesome opportunity to head to Walt Disney World® Resort. 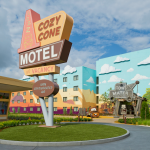 We have shared a fun Walt Disney World® Resort Vacation Reveal idea, our top tips for taking young kids to Walt Disney World® Resort and our Top Ten Experiences at Walt Disney World® Resort. 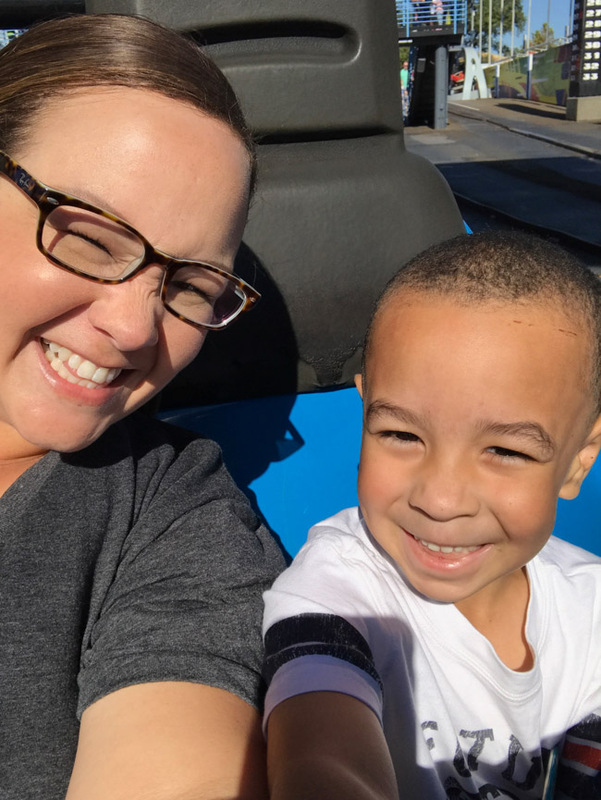 When we visited the resort we had a range of kids in tow, from ages 1 to 7 so top on our list was finding Family Friendly Rides that the whole family could enjoy! TriceraTop Spin. 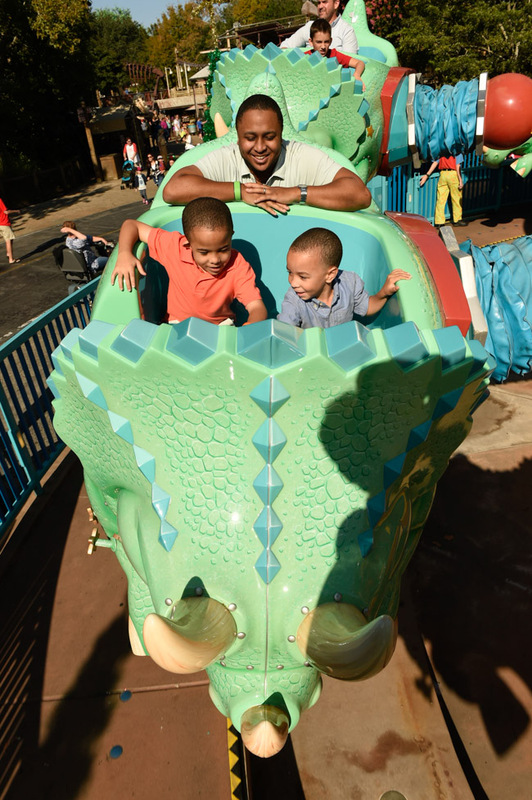 If you have a dino lover in your family you’ll want to make a stop at TriceraTop Spin in DinoLand U.S.A. at Disney’s Animal Kingdom® Theme Park. Any height is welcome, so it’s the perfect attraction for kids of every age! Kilimanjaro Safaris. 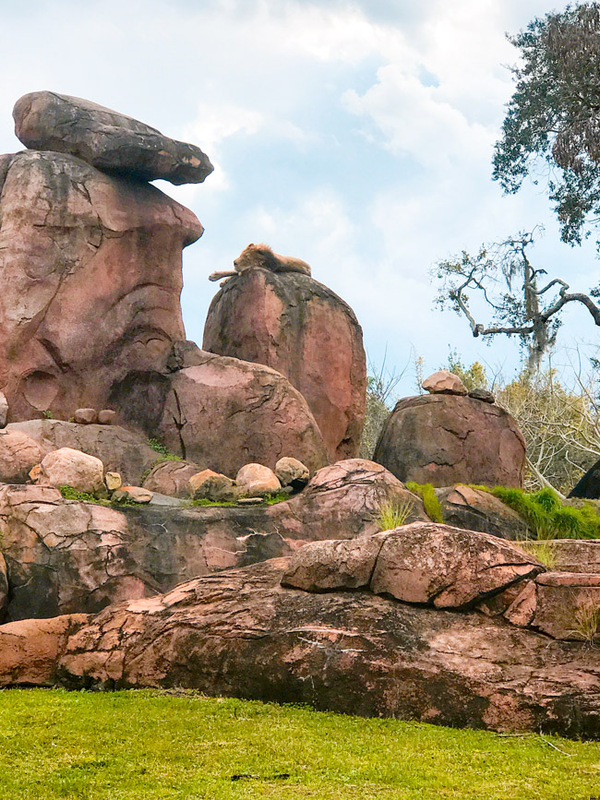 Another must-visit on your Disney’s Animal Kingdom® Theme Park list is the Kilimanjaro Safaris® Expedition! Located in Africa, this attraction is another one that’s available to any height. 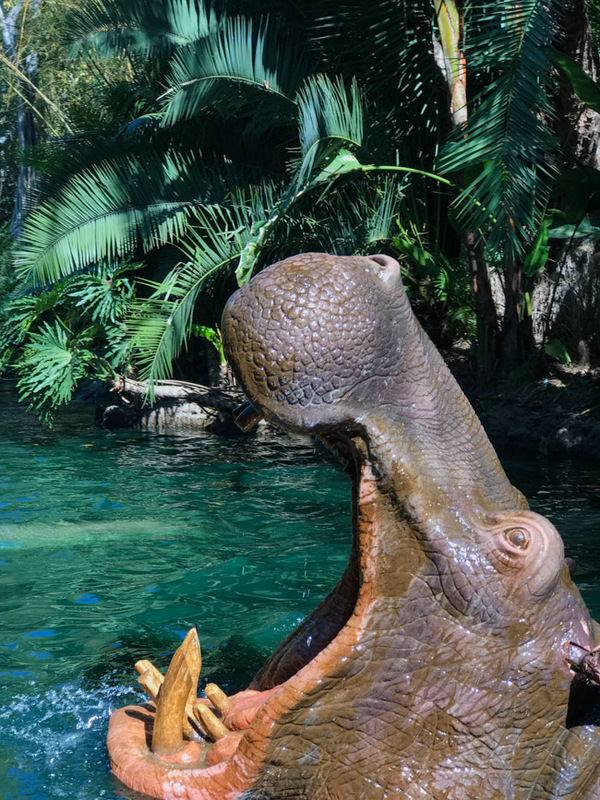 Pop your little ones on your lap as you take a ride through the Harambe Wildlife Reserve and observe real African animals in their natural habitats! Nocturnal Encounters are also now available – I know that’s on top of our list for our next visit! Now we’re going to race on over to our next stop packed full of family friendly rides, Magic Kingdom® Park! 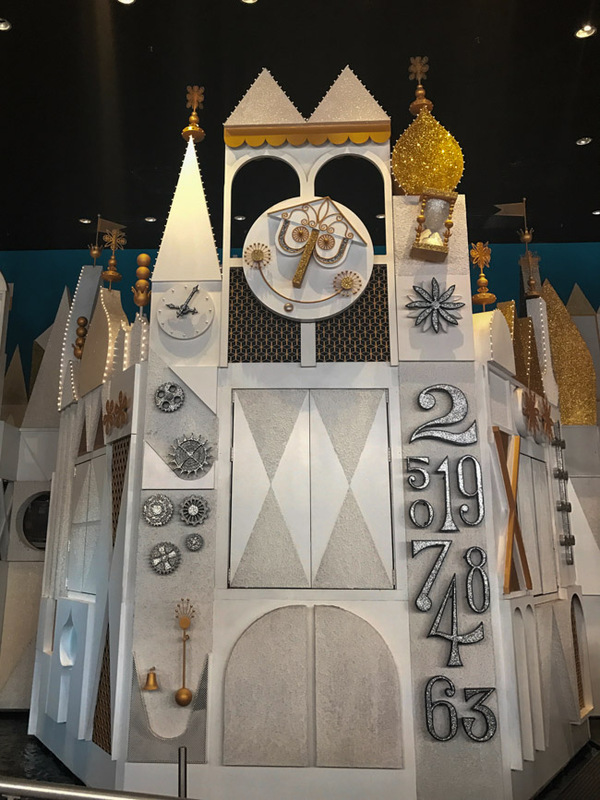 If you have little ones with you on your Disney vacation, chances are you’re going to want to spend a good amount of time at this theme park, there’s so much to offer! 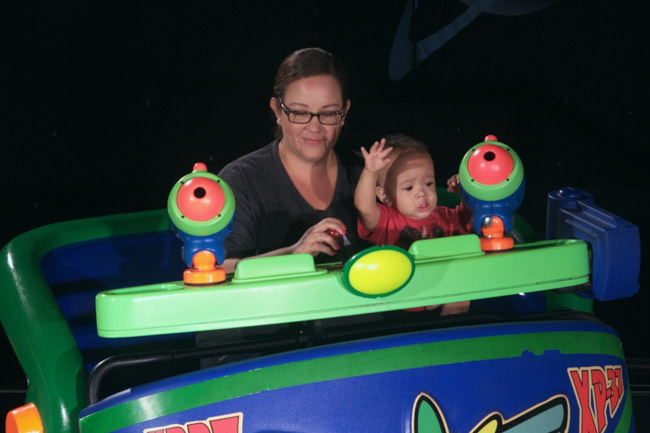 Buzz Lightyear’s Space Ranger Spin. Our first stop in Magic Kingdom® Park is Tomorrowland® area for a special mission to defeat Zurg and his army! Another ride that is available for kids of any height, it’s a great ride for little ones. We took Adrian (our 1 year-old) and as you can see, he had a blast! Bright lights, fun sounds – what more could you ask for? And our older boys loved firing off those space canons. Tomorrowland Speedway. Our next stop in the Tomorrowland® area is at the Tomorrowland Speedway. This is the only attraction on our list that has a height restriction, but at just 32 inches, chances are many preschoolers will make the cut! 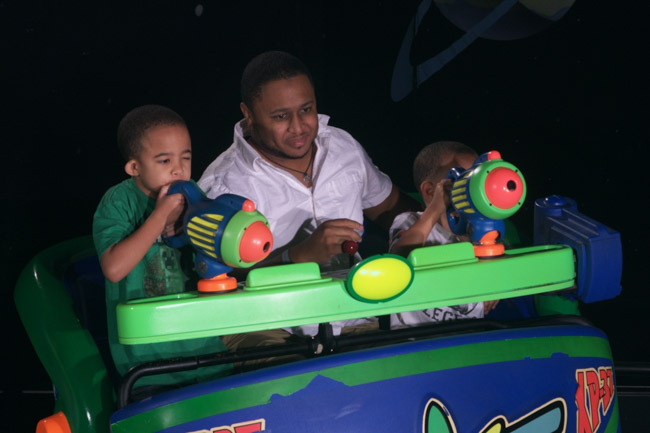 This is one of the first rides that my boys were able to ride when we first visited Walt Disney World® Resort and now it’s a must-ride every time we return. They’ll enjoy getting behind the wheel of a gas-powered car and speeding through a winding track to Victory Circle! Now we’ll head a little further into Magic Kingdom® Park into the Fantasyland® area! This is where you’ll find a bulk of the amazing attractions for your little ones! Dumbo the Flying Elephant® Attraction. First up in Fantasyland® is Dumbo the Flying Elephant® Attraction! Much like TriceraTop Spin, this is a slow spinning ride for kids of all heights where you control just how high you want to go. The cheerful carnival music and bright colors are inviting for the little ones, I remember Dumbo being one of my first rides at Disney! So you know I passed on this adventure to my little ones as well. The Many Adventures of Winnie the Pooh. Next on our list of Fantastyland® stops is The Many Adventures of Winnie the Pooh. Also available all heights, little ones will get the opportunity to board a giant Hunny Pot and experience some of the most popular scenes and settings of Winnie the Pooh. I know Adrian (our 1 year-old) was particularly fond of this attraction. Peter Pan’s Flight® Attraction. Get a FastPass+ for this one folks, because the Peter Pan’s Flight® Attraction is on everyone’s list! And no wonder since everyone is welcome on this pixie-dust filled ride. My boys loved climbing on board a magical pirate ship for a ride to Never Land. “it’s a small world.”® Attraction. I don’t know if it’s the nostalgia or the fact that everyone can always take a ride on this attraction, but we always seem to manage a ride through “it’s a small world!” Your little ones will enjoy the break from the outdoors with a comfortable, music-filled ride along the Seven Seaways Waterway. It’s a great ride to take your kids on to rest and reset. The Magic Carpets of Aladdin. I might be biased, but I’ve always had a soft spot for Aladdin and Dole Whips, so naturally I’m drawn to this area of the Magic Kingdom® Park! Kids of all ages can fly high over Agrabah on a magic carpet ride and be sure to stop by Aloha Isle afterwards for a sweet pineapple treat! Jungle Cruise® Attraction. Now this family friendly ride at Walt Disney World® Resort is a classic. 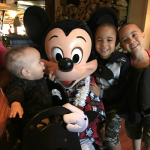 It’s one of those Disney attractions that I remember going on as a little girl, so naturally I love taking my little ones! The skippers always have a fun time narrating, so young and old will enjoy a scenic boat tour of the most exotic and exciting rivers across Asia, Africa and South America. Our next stop will take us to Disney’s Hollywood Studios®! My boys are big fans of this Disney park as they love anything and everything to do with Star Wars! But if you have your whole family, including little ones who don’t quite measure up to go on a ride like Star Tours ® –The Adventures Continues, there is still plenty to do! Toy Story Mania!® Attraction. Our favorite family ride at Disney’s Hollywood Studios® has to be Toy Story Mania!® On this ride you’ll join Woody and the gang for a ride full of carnival games you won’t forget. Our older boys loved seeing their scores climb as the blasted 3D targets along the way and our little guy loved the colorful scenes. Our last stop is at Epcot®! 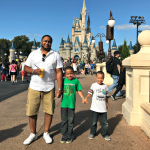 Epcot® is a favorite spot for my husband and me, but there are plenty of things to do with your whole family too. Spaceship Earth. A fun stop for the whole family is the iconic Spaceship Earth that Epcot® is best known for! 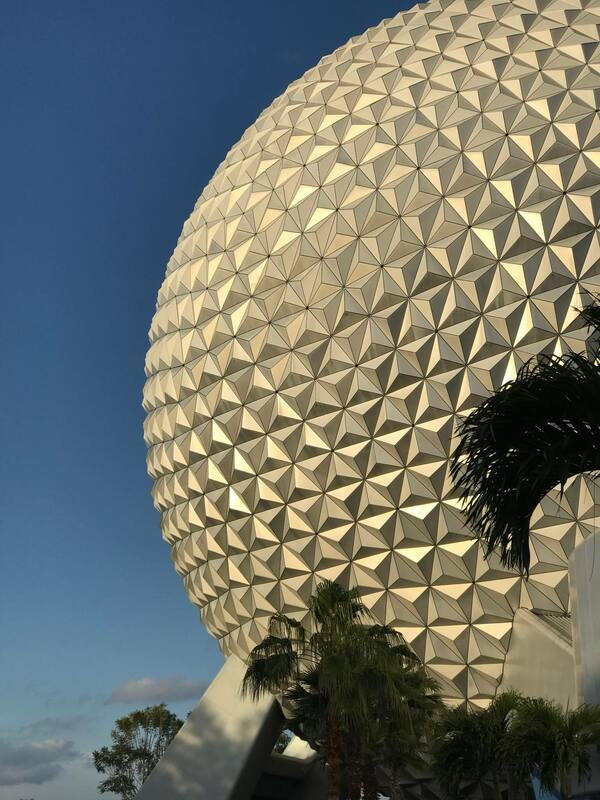 But more than just an icon, Spaceship Earth is also a time-machine themed attraction that takes you through important advancements in human communications over time. Since riders of any height are welcome, it’s the perfect stop for everyone. Frozen Ever After. And last, but not least we have Frozen Ever After. Located in the Norway Pavilion in Epcot®, this ride should probably be your first stop because it is in demand! Queen Elsa, Anna, Olaf and Kristoff are all there so if you have Frozen fans in your family, this attraction is a must-see! And it also has no height restrictions so it’s sure to be fun for your whole family. So there you have it! 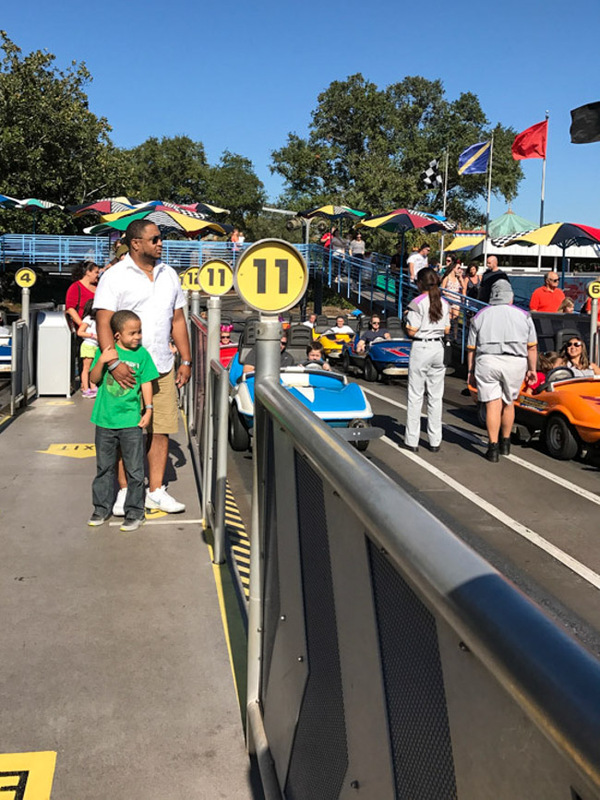 If you’re traveling with preschoolers or young ones on your next Walt Disney World® vacation, these are some of our favorite Family Friendly Rides at Walt Disney World® Resort we think you should plan for! Be sure to check out our top tips for taking young kids to Walt Disney World® Resort so that you can make sure your vacation is all you’re dreaming of! It is really an amazing vacation! You all must have great fun time in the Disney! All kinds of attractions in Disney attracts me to there! I would like to go there to have fun! I will like to go there and taking my boys for the holiday, great share indeed. I hope you have an amazing time, Amalia! Walt Disney World is just my unforgettable memory of my whole childhood! Thanks for your share of your amazing vacation with your families! Very interesting! A fun place to have a trip there! Walt Disney World is really a fun place to have fun there!